The Keyhole: Peeking at 21st Century Brands: When It Comes to Super Bowl Advertising, Emotional Engagement Beats Entertainment. Always. The Keyhole makes observations about consumers, brands, ads, & marketing, through a predictive customer loyalty lens. Most marketing is ineffective to today's bionic consumer, given undifferentiated products, loss of "brandness," & hard to come by profits. Marketers talk about "engagement" but nobody seems to be doing a very good job measuring or integrating it into what they do & it shows! The Keyhole opens a dialogue on this subject & suggests real-world solutions with the marketing community. When It Comes to Super Bowl Advertising, Emotional Engagement Beats Entertainment. Always. Fewer than half of Super Bowl XLIX’s advertisers will score big on their considerable investments, according to the 13th annual Super Bowl Ad Engagement Survey conducted by Brand Keys. When it comes to Super Bowl ad playbooks, brands hope ads will score big in five ways: 1) big audiences, 2) big creative, 3) big buzz, and 4) big social networking, and 5) big levels of emotional brand engagement. That last one is most important! It’s a leading-indicator of consumers’ positive behavior toward the brand in the only arena that counts – the real-world marketplace. The Super Bowl, one of the most-watched events in broadcasting, has long been a showcase for innovative advertising creativity, but in an attempt to level the ad playing field, marketers have increasingly moved to create up-front buzz for their ads, a tacit recognition that it’s a given their ads will get noticed – along with everyone else’s. Sure, brands need to entertain if they want buzz, but today, if brands want a real return, it isn’t enough just to entertain, they need to emotionally engage consumers with their ads. Do that, and consumers come away feeling the brand better meets their expectations for their Ideal in the category where the brand competes. That’s what real brand engagement is all about, and way different than entertainment or methods of engagement. Assessments collected via mobile software from 2,705 men and women measured social networking activities for 26 brands reported in the media to be Super Bowl advertisers calculating consumers’ emotional engagement for the brand itself, the levels of anticipated advertising entertainment (according to social interactions and buzz), and the brand within the context of the Super Bowl broadcast. Results were perceptually mapped to identify where consumers saw the brand falling, identifying whether consumers felt the brand will engage and entertain, entertain only, engage but not entertain or neither engage nor entertain. Each combination results in a different in-market outcome for the brand and for this year’s results, just click here. It turns out that only 46% of the brands were assessed by consumers as both engaging and entertaining (only 12 of the 26 brands), slightly lower than the 12-year historical average of 50%. Those included Pepsi, WeatherTech, Doritos, GoDaddy, and Dove Men+Care. According to social networking inputs, brands assessed to be highly entertaining but with low engagement levels included Budweiser, Coke, and McDonald’s. Agencies and marketers all pretty much assume their ads will be entertaining, but advertising really shouldn’t be judged only by entertainment value or related social network activities, but how it ultimately performs in the marketplace. Does the ad emotionally engage and build brand equity? Does it engage enough to drive sales? If so, you’ll see positive bottom line impact - even if the advertising wasn’t as entertaining as envisioned. 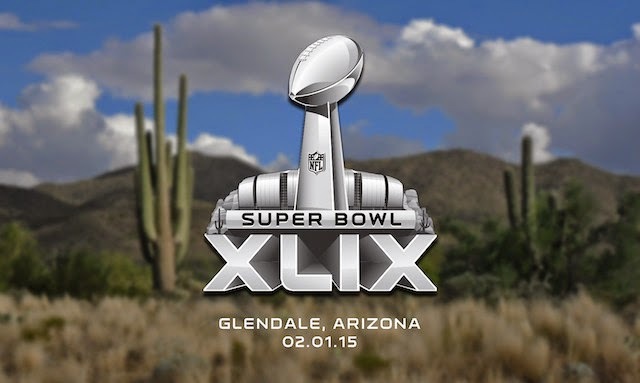 A brand that can both engage and entertain is a real Super Bowl winner. With 30-second spots selling for a reported $4.5 million plus, marketers need a new game plan when it comes to ad effectiveness and ROI. Monday-morning creative quarterbacking is always fun. Ad entertainment and social networking reviews generate lots of chatter, traditional and digital. But these days that’s not enough. On this particular Sunday, when a brand gets into people’s living rooms and on their computer or mobile device screens, it doesn’t matter how many consumers tweet, like, or share if, ultimately, it doesn’t increase emotional brand engagement levels, positive consumer behavior, and sales. Otherwise what brands have produced are very short, very expensive movies! Find out more about what makes customer loyalty happen and how Brand Keys metrics is able to predict future consumer behavior: brandkeys.com. Visit our YouTube channel to learn more about Brand Keys methodology, applications and case studies. The Daily Show's Take On Blogs!